For some reason, people are a bit reluctant to believe the things neuroscientists are telling them. Things such as bar graphs or data just to not appeal to them, especially when they try to dig inside your brain. So scientists tried to find a way to make the people believe them and believe it or not, the solution was using colours. 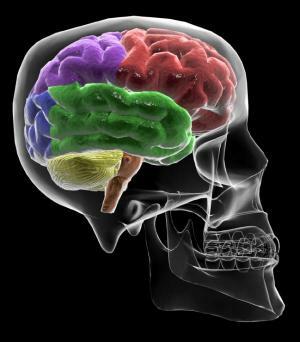 Scientists and journalists have recently suggested that brain images have a persuasive influence on the public perception of research on cognition. This was tested by David McCabe, an assistant professor in the Department of Psychology at Colorado State, and his colleague Alan Castel, an assistant professor at University of California-Los Angeles. “We found the use of brain images to represent the level of brain activity associated with cognitive processes clearly influenced ratings of scientific merit,” McCabe said. In three experiments, undergraduate students were asked to read not so unsubstantiated claims like watching television increases math and then read real data like how brain imaging could be used as a lie detector. They were asked to rate that and they rated higher the articles which had brain images; regardless of whether the article described a fictitious, implausible finding or realistic research. “Cognitive neuroscience studies which appear in mainstream media are often oversimplified and conclusions can be misrepresented,” McCabe said. “We hope that our findings get people thinking more before making sensational claims based on brain imaging data, such as when they claim there is a ‘God spot’ in the brain.”. So people, seriously, at least when it comes to the brain, leave the conclusions to the neuroscientists, and trust them – they’re a good bunch.